While government promoted the multiple benefits of growing gardens, it was done particularly to help ease the burden caused by rationing during the war. Victory gardens were about countering food shortages created by a world conflagration. In contrast, Liberty gardens are about planting seeds of liberty, growing food and bringing the vision of freedom to a broader audience. We do not need to “win” yet another war. Because winning in war means being the best killers. What we need is peace, prosperity, love, and kindness to our neighbors. We need clean food, vibrant communities, healthy bodies, healthy soils, and strong local economies. The real victory is achieving health, prosperity and liberty for ourselves and our families. And the most fundamental form of each of these is access to clean food, not ‘winning’ oppressive wars. We create and populate health, liberty and prosperity first and foremost by knowing how our bodies and our soils work, then nourishing both for the future. 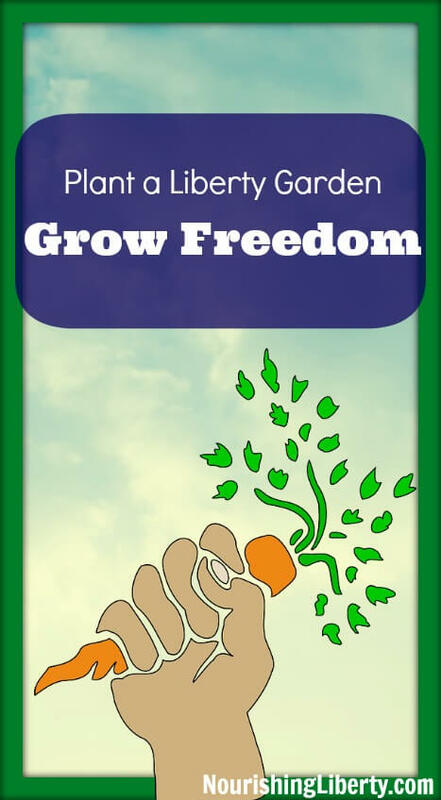 Liberty gardens provide tangible freedom. They empower local communities across the world to access their own food production. Interdependence between members of a community leads to independence from big corporations, industries and governments that seek to control and manipulate our food supplies and our lives. 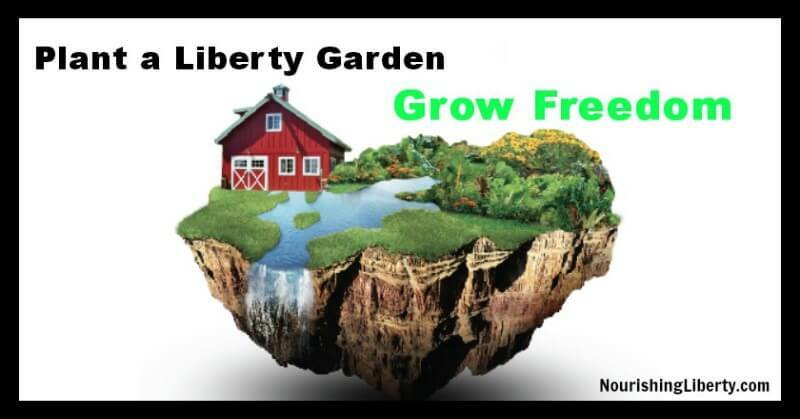 Liberty gardens nourish freedom, and are nourished by freedom! They are the soul of a community, the heartbeat of synergy. Gardens are the marriage of multiple lives and multiple life forms. They are vast soils giving life to tiny seeds surrounded and nurtured by trillions of tiny organisms on which our beings depend. And such is liberty. Liberty is the culmination and spread of vast information, of passionate ideas giving rise to self-ownership. It is trusting in our own expertise and abilities. It is an allegiance to something unifying within all of us. What is a liberty garden? Is it a metaphor or a tangible garden? It is an idea, an idea that spreads through people planting seeds in other people’s minds, nourishing those ideas, cultivating and watching them grow. And it is a real garden. A garden where food security grows and flourishes. A garden where communities are built and prosperity develops. A garden where the inherent relationship between a human being and the natural world is honored. Liberty gardens represent an allegiance to clean healthy food, rather than an allegiance to profit or nations. They represent an allegiance to community and self-ownership, not blind devotion to an arbitrary law or rule. In planting a garden, we embrace the possibilities of the future, both tangible and intangible. We seize the precious opportunity to nourish that which we want more of for a rich and bountiful harvest. With great pleasure, I invite you to join me in cultivating peace, nourishing liberty and planting a garden. Love this! We just started our backyard garden and can’t wait to see some results!